They’re quaintly outdated by today’s modern car standards, they look like they’re from a different era (because they are) and they need specialist maintenance; so why do so many people love the Brazilian campervan so much? This article tries to get to the bottom of this modern day conundrum. The first point to raise is, perhaps, the most obvious: we still love the VW camper, all these years on, because they look so good. Such an iconic car has been missing from contemporary vehicle design for decades, and even then can we say that the classic Mini or something like Back to the Future’s DeLorean is as desirable as a pristine Danbury campervan? Not likely. The look and style of the classic Type 2 camper stems from its predecessor, the equally iconic VW beetle. The camper variation of the Beetle was created way back in 1948, when Volkswagen wanted to produce a line of vans, but retain their renowned look and style of the time. 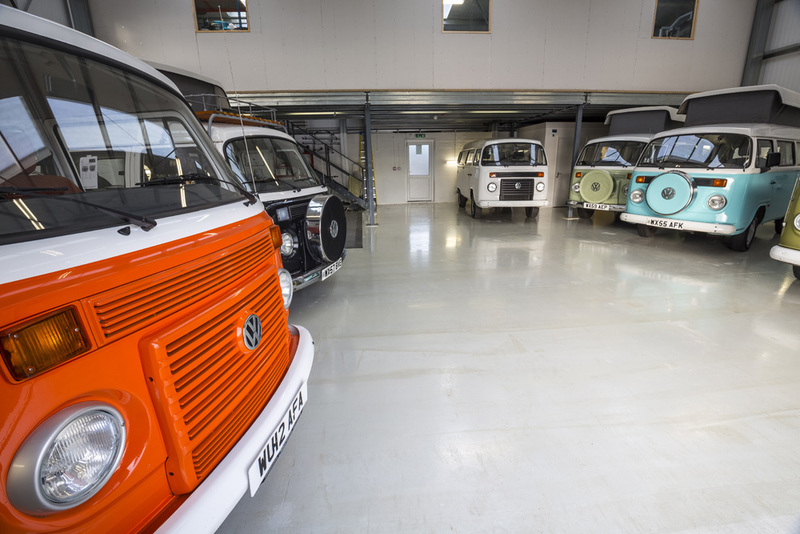 As a result, these hugely popular VW Transporters became used for all sorts of different jobs, from simple delivery van, to milk van, storage van and, eventually the recreational camper that we know today. When we drive around in one of these retro Brazilian camper vans, it’s like driving inside a piece of history – it just can’t be replicated. For many ecstatic modern day camper van owners and admirers, it’s something deeply personal. For those alive when the original 50s and 60s adoration of the camper van (particularly amongst the ‘hippie’ generation), the VW camper became something of a benchmark in time. Now grown up, and with the disposable income to make fantasy a reality – it’s no wonder that so many people are still choosing the classic Danbury camper over the plethora of more modern, serious driving machines we have today. It’s like going back to their youth and fulfilling a huge childhood ambition. One of the key concerns with owning a classic, or older car is that the inevitable wear and tear may spell disaster for your wallet – particularly with the T2 camper, which has long been lacking in any appropriate garage or mechanic to treat it right. Nowadays, however, with VW Kampers on the Brighton camper van scene; there’s little to no excuse not to pick up your dream Danbury camper and hit the roads. With our affordable, professional and hugely popular list of services, there’s no VW T2 issue too technical, and no aesthetic upgrade too cumbersome. Reliability was always an important question with the classic VW camper, though; indeed it wasn’t until the 1970s that the beloved van became incredibly reliable mechanically, but also a much more impressive machine with regard to speed. Why do we still love the VW camper? Because it looks great, it shifts at a fair speed, and it still has that practicality that made it all that interesting, decades ago.